Now, we can’t write a footwear blog without mentioning some Clarks voucher codes can we? It’s a good job they’ve got some summer shoe savings available because we’d be looking a bit red-faced right about now if they didn’t. And there’s nothing to worry about on the Clarks front whatsoever because with our current Clarks voucher codes you can enjoy up to 50% off selected ladies shoes. In regards to suitable summer foot attire, we’ve picked the Alto Gull Sandals in Turquoise (were £45, now £22.50), the Risi Hop Sandals in Coral Leather (were £40, now £20) and the Studio Star Sandals in Tan Leather (were £55, now £40). There are plenty more Clarks price cuts to choose from so get your summer shoe shopping spree on with the country’s favourite shoe retailer. There are some very useful Debenhams voucher codes available right now, one of which can be utilised to save on pretty much everything summer related. Head on over to our Debenhams voucher codes page and you’ll see a discount that gets you a massive 20% off your order when you spend £70 or more. When it comes to shoes, as you would expect from one of the UK’s top department stores, the summer shoe collection certainly doesn’t disappoint and these three pairs are surely too gorgeous to resist – the Havaianas Black and White Brasil Logo Flip Flops (were £22, now £17.60 with £70 minimum total spend), the Nine West Black Gardenia High Heel Strappy Sandals (were £79, now £63.20) and the Carvela Tan Katey High Heel Wedge Sandals (were £85, now £68). This is the perfect opportunity to stock up on some summer essentials and bargain big name brands, so grab your favourite pairs while you can. If you feel like your footwear collection is distinctly lacking in the jelly shoe department than this offer will be right up your street because our current AllSole voucher codes contain a deal that 25% of Juju Jellies. And even if you’re not in the market for a new pair of jelly shoes new customers can still enjoy 10% off their purchases with our AllSole voucher codes – it’s a win/win situation! 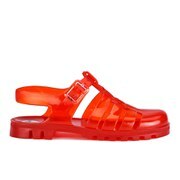 But seeing as they’re a classic summer shoe here are three Juju Jellies discounts that might tempt you - get a pair of the Juju Women’s Bab Heeled Jelly Sandals in Black/Flamingo (were £30, now £22.50), the Juju Women’s Maxi Jelly Sandal in Burnt Amber (were £26, now £19.50) or the Juju Women’s Maxi Jelly Sandals in Black/White (were £26, now £19.50). 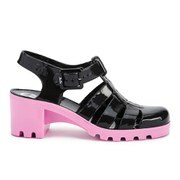 Summer shoe season will soon be over, and a lot of your favourite styles might not be left by the time the sales start. So take advantage of the generous offers available with our Clarks, Debenhams and AllSole voucher codes today to ensure you and your feet don’t miss out.